Your garage door is an important and complicated piece of machinery, and if not properly looked after it can be dangerous. Although modern systems incorporate many safety systems that help to prevent accidents, it’s important for homeowners to look after these systems and check their functionality every so often. Without regular maintenance it’s possible for these systems to fail, which can put you, your property and your family at risk. Your door shouldn’t be able to fall shut when you close it, it should balance evenly no matter where it is on the track. If it doesn’t, you run the risk of the panels accidentally slamming shut if the other safety features fail. Many homeowners will find their door losing balance as their springs begin to wear out; this is to be expected, and you should always test the balance of your door on a regular basis. If your door isn’t properly balanced, spring adjustment can resolve this. Simply arrange an inspection with our team. All modern garage door opener models are fitted with photoelectric eye sensors that are mounted along the bottom of the door’s vertical tracks. These units send an infrared beam across the threshold, and if this beam is broken while the door is closing, the system will stop moving and reverse. Safety sensors can be knocked out of alignment or become covered in dust. It’s a good idea to regularly check them for any signs of damage, and to keep them clean. It’s also wise to perform tests by placing an item in the beam’s path; the door should not be able to close as long as the sensors are blocked. All door systems manufactured after 1991 must be fitted with an auto-reverse feature. If the door encounters significant resistance as it closes it should automatically reverse its direction (or simply stop, if it’s opening). 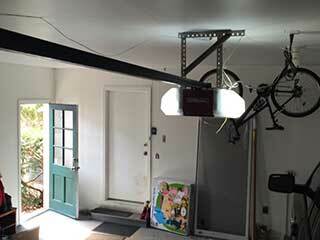 This prevents accidents from causing significant damage or injury, and makes your garage door far safer. To test that your door’s auto-reverse function is working correctly, place an object under the panels (out of the way of the safety sensors). Now use the opener to close the door. It should meet the obstacle then stop and reverse. If it doesn't, the mechanism needs to be checked and the force limit may need to be adjusted. If the safety mechanisms of your garage aren’t working properly, our team at Garage Door Repair Palmetto Bay can help. Schedule an appointment with us today and we’ll make sure that everything is operating perfectly, giving you peace of mind.